Our assisted livery service includes haylage and winter turn-out. 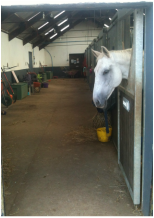 Livery clients are offered the use of both our indoor and outdoor riding schools. 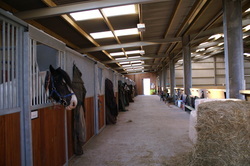 We have 3 livery blocks each with a secure shared tack room available for all your personal equipment and feed. The livery community can often be seen making the most of our indoor and outdoor schools or simply relaxing after a well earned break with a nice cup of hot tea! We can offer a premium full livery service to those requiring long or short term full livery. Clients requirements vary based upon their needs at the time and as such we can offer a price only when we understand the nature of the livery service you require. Please get in touch with us, we are sure we can accomodate you and offer you great value for money.